Well that's the very point. Lots of organisations still do! And particularly companies that have a mobile field service team. This blog post has been written to hopefully hammer home the message that you are probably already well aware of. Slow, messy, time-consuming, unproductive versus fast, efficient and professional? That's a tough one! If your field service team are still using docket books and paper based timesheets, then the chances are your competitors are taking leaps forward with the help of technology. Just think of the steps involved with a piece of paper from the costs of purchasing special docket books, to the time involved in bringing the paper back to the office (or scanning it and emailing it) and then for one of your admin team to input the details (often late, often in scribbles) into a system. Your competitors are looking much smarter and more efficient with their smart technology. With the right field service management software in place, your mobile workers can complete forms from their mobile device while on site. The speed and ease of filling out forms benefits not only the mobile team but also your Project and Finance teams back at the office, who can see exactly what’s happening with a particular job. And with speed and efficiencies on your side, it is perfectly rational to assume that more jobs could be fitted in, helping to satisfy more clients and generate more profits for the company. Following on from point number 2, the faster your team can get their “paperwork” in, the faster you your finance colleagues can invoice out. Waiting on snail mail or emails with the relevant dockets can seriously hold up the billing process, having a potentially serious impact on cash flow. From a Project Manager’s perspective, having efficient billing means projects can be signed off and completed much faster, your finance team starts to sing your praises and the client gets a really good impression of how your business operates. All good. Having a technology solution in place that enables customers log on and view their job status means that your team can focus on getting the work done without having to keep updating clients. It’s all about being smarter with time without compromising on service. The clients still get a smart and professional impression of your business without tying up your mobile team on long phone calls. With a field service technology solution, you can see what’s going on without having to make lots of phone calls. You can see where your engineers are (physically), what stage of the job they are at, what time they completed the job. It means you can start to schedule on-demand, particularly if you get ad-hoc service calls during the day that need to be squeezed in. Planning, scheduling and organising become so much easier when you are not dealing with a messy whiteboard, an eraser, coloured markers, non-stop meetings, phone calls and paper. 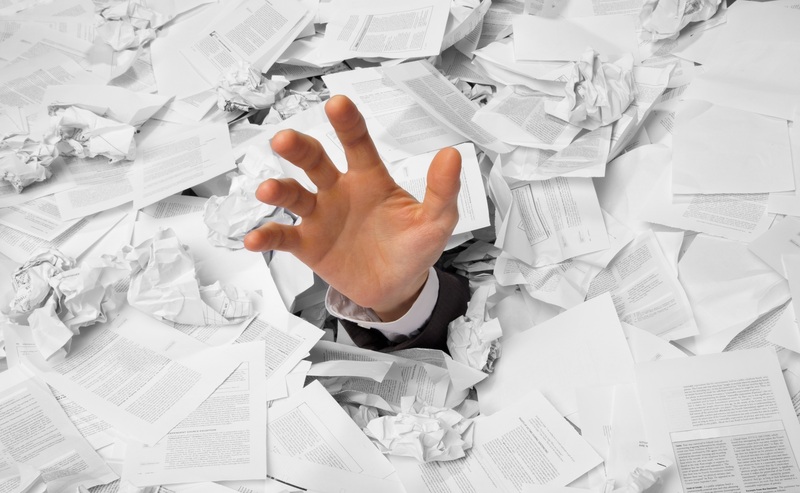 Often, Project Managers are already on board with the notion of dumping the docket books but it can often be resistance from the field service crew who don’t want to let go of the paper. It’s quick, easy and there is no messing about (in their eyes). Then, there may be some specific forms that they need in order to complete their jobs (e.g. surveys or site assessments), so often they can’t visualise how such forms may be translated onto their smart phone. That’s where smart technology comes in – it’s not and nor should it be a one size fits all approach. The trick is to get your forms and dockets replicated in a digital format and make this process as slick and user friendly as possible. Once you go there, you will never turn back. You will certainly get jobs done faster by eliminating paper based systems. Think smarter and stay one step ahead of your competitors. If you would like more information on a paperless office solution for your business, just click below.